Norway's "tournament specialists", Spain's "dancing players" and Israel's "huge expectations": UEFA.com rounds up the press reaction from the eight finalists following the group stage. 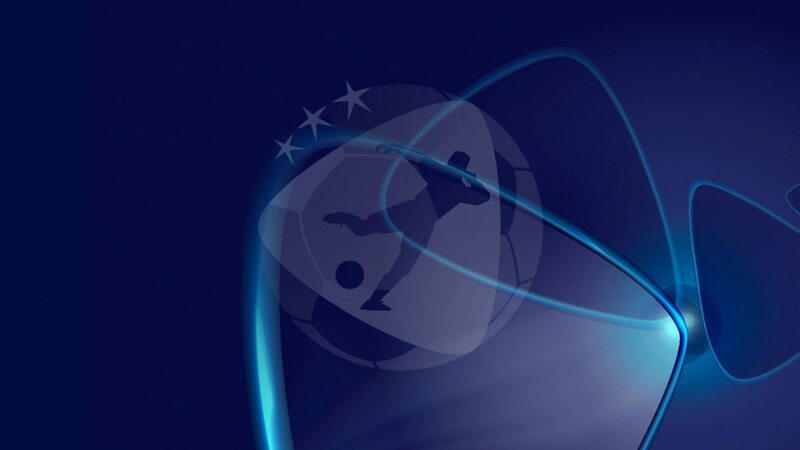 The group stage at the 2013 UEFA European Under-21 Championship is at an end and as four teams bow out, and four forge on, UEFA.com rounds up the press views within each of the eight nations that started the tournament just eight days ago. Italy finished first in Group A, with a thrilling final game against Norway. A beautiful and deserved Andrea Bertolacci goal in added time saved Italy from a defeat that wouldn't have endangered their qualification, as the Azzurrini had already booked their place in the semi-finals with a game to spare. However, defeat would have been undeserved and unfair for Devis Mangia's side because they wasted six clear chances to score. Italy will certainly have to be more clinical in front of goal in the semi-finals. It was almost unbelievable that the match against Italy finished 1-1. Norway had hardly created any chances at all before Stefan Strandberg's goal from the penalty spot, while the Italians had bossed the game for 90 minutes and created chance after chance. But Norway are looking more and more like a team that thrives in championship games, and one hallmark of these teams is that they get the right results without playing well. With a bronze medal now secure, Norway can reflect on a remarkable championship. While Norway are in the semi-finals, group favourites England are travelling home without a single point. Israel say goodbye with three games and four points in the bag. Surprise? Disappointment? A great achievement? The bottom line is that the team are out and finished fifth, ahead of Germany, England and Russia. No one could really have predicted how the guys in blue and white would perform, but the preparation games proved that there is reason for optimism . The ticket madness grew bigger, the buzz surrounding the biggest tournament ever to be held in Israel was high, and without even noticing the expectations on our guys were beyond their reach. The Young Lions headed into their fourth successive tournament riding the crest of a wave, having won nine matches on the bounce without conceding a goal. [After losing to Italy and Norway] restoring pride was the party line heading into Tuesday night's Group A finale against Israel but things would only get worse, with Ofir Krieff's strike securing the hosts a 1-0 win. It means England return home in shame, having failed to muster a single point from a group they had expected to progress from. Things have no doubt been made harder this past week by the fact players like Alex Oxlade-Chamberlain, Phil Jones and Danny Welbeck were unavailable to Pearce. Some teams are beautiful to watch for the message they transmit. A joy to the eyes with their manner of interpreting the game where every action has as much fluidity as it does meaning . This is the case of the Under-21 team who yesterday secured first place in their section having danced around the Netherlands. Julen Lopetegui's side dominated but when their opponents threatened, David de Gea appeared, delivering what seemed like good news in the form of three highly significant stops. The win means that the Spanish avoid the tricky force of Italy in the semi-finals. Instead, the rocky path that is Norway awaits on Saturday. After the one-sided, but also meaningless, defeat by Spain it will become clear on Saturday if Cor Pot has directed the team to the European Championship exit or indeed has helped them towards glory [by completely changing his starting XI for their final Group B game]. During the semi-final against Italy it will become clear if the experienced national team coach was right to do so, having taken on the advice of his medical staff and the specialists recommended by [senior coach] Louis van Gaal. Has it broken up the flow? Or was it a masterstroke to rest all 11 players? The 2-1 victory over Russia was a reward for a Germany team who – except for the first half against the Netherlands – always showed maximum determination in this tournament. But this result can't cover up the basic problems this EURO has revealed. In an ideal scenario, this was a warning at just the right time for the German Football Association (DFB). While there is no shortage of talent in attacking midfield, the air gets thinner up front. If you want to stay at the top in the long run, you need to make sure that high quality is brought up from the bottom – the Spanish team is proof of that. In their last match, the U21 team weren't able to go out with the bang promised by Nikolai Pisarev. That pre-match call to action was not for the benefit of opponents Germany, who also could not qualify, but for the homeland [on 'Russia Day']. There is understanding and sympathy at the reasons for Russia's early exit at this tournament. Other eliminated teams have more to worry about regarding future talent, perhaps with the exception of Germany who have a golden generation coming through, even if many of their eligible players have already graduated to the senior team. Making his first appearance for Spain Under-21s, Álvaro described it as a "luxury" to play with team-mates who beat the Netherlands 3-0 to top Group B without conceding. Captain Bram Nuytinck said the Netherlands "always have confidence" as he reflected on the 3-0 defeat by Spain that means they will face Italy in Saturday's semi-finals.